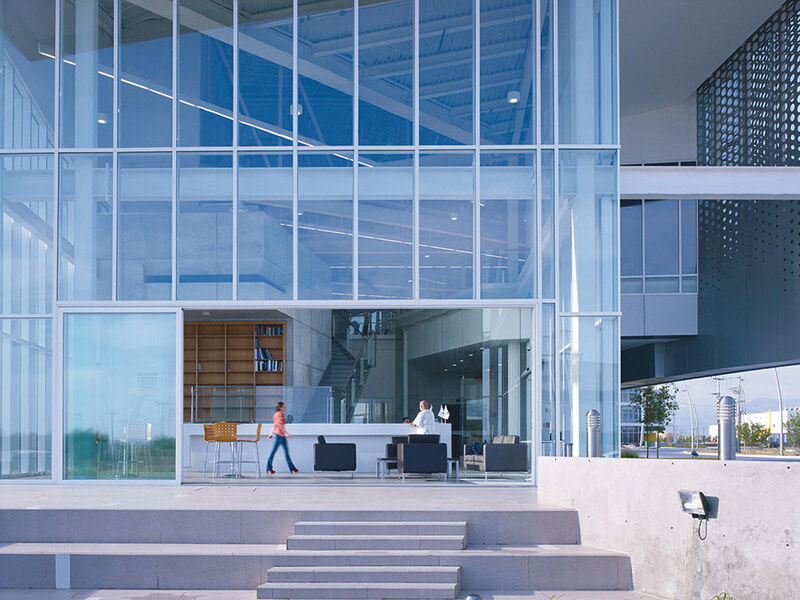 Brooks + Scarpa designed this new manufacturing and research center in Mexico. 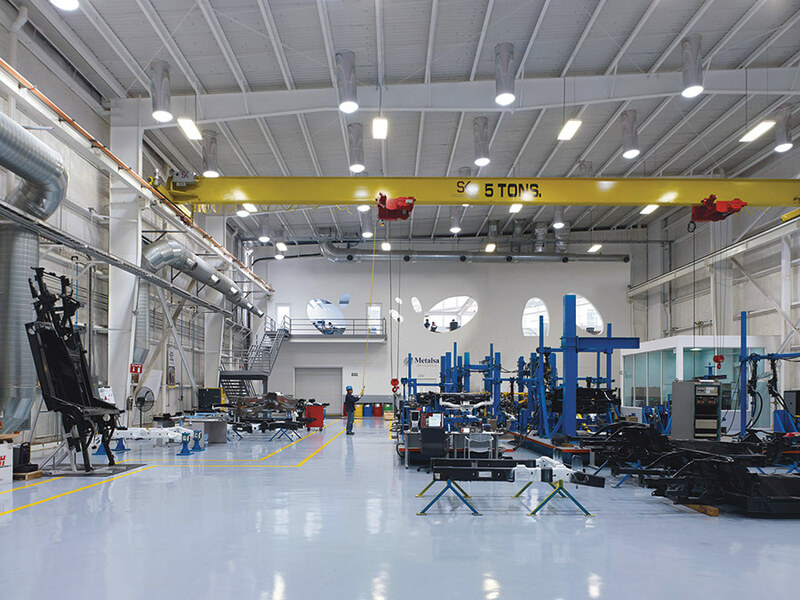 Located on a 100-acre, government-sponsored technology research campus adjoining Monterrey Airport, the Metalsa Center for Manufacturing Innovation joins the facilities of other international companies, and branches of UT Austin and two Mexican technical universities. The site has a secure perimeter, but the constraints were few beyond a 125-foot height limit and a mandate that all equipment be concealed. 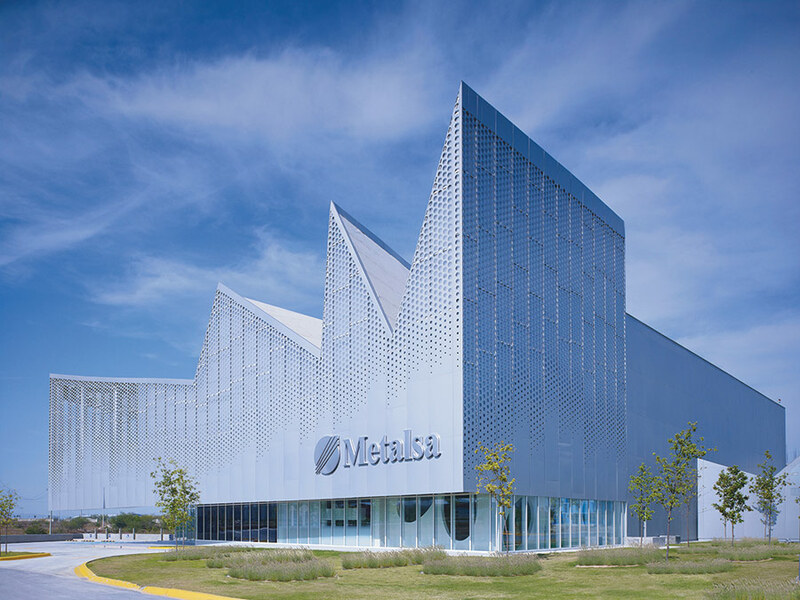 Metalsa already has a manufacturing plant of several million square feet in Monterrey, the commercial capital of Mexico. Here the goal was to create a showcase of sustainability and an ideal work environment that would embody the ideals of the firm and impress visiting customers. Phase 1, comprising 16,500 square feet of warehouse, research lab, and office space, has been completed. In phase 2, these facilities will expand to the north and east, increasing the square footage to 55,000. 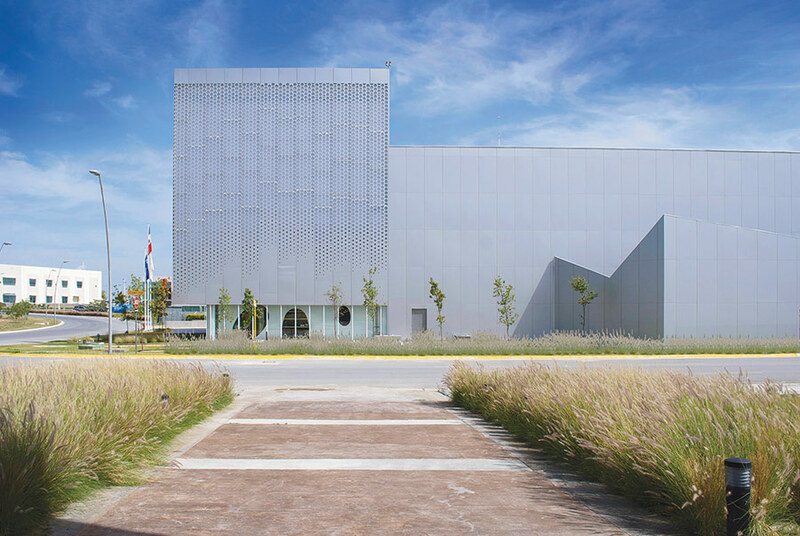 Inspired by the jagged mountains around Monterrey, the architects created a steel-framed block with sharp-peaked lanterns that draw in natural light from the north like the saw-tooth roofs of factories. 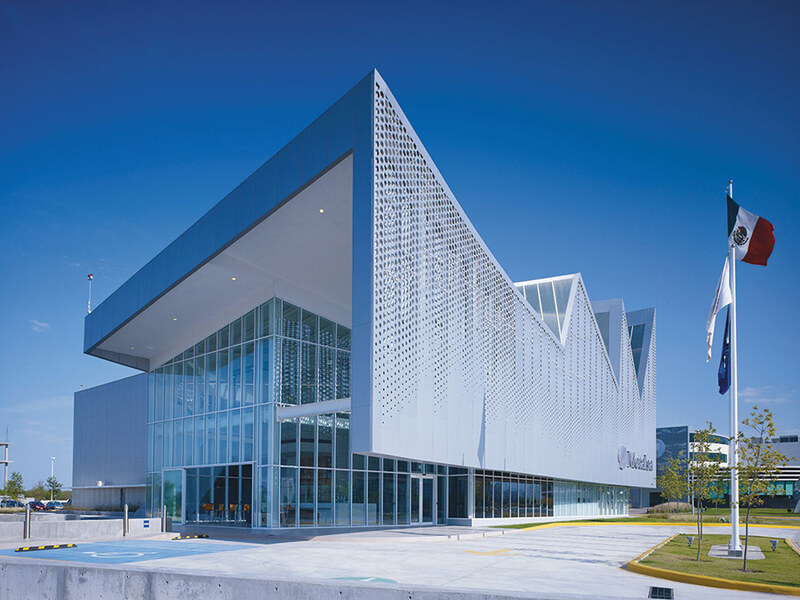 A projecting canopy suspended from a cantilevered roof is clad in perforated and etched aluminum. 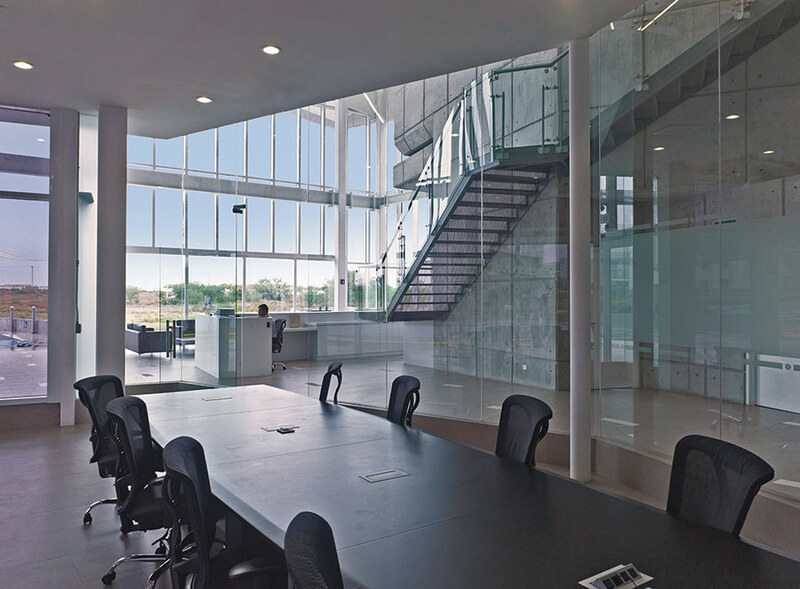 It shields the glass curtain wall of the reception area and two-story office wing. A layer of polycarbonate behind the aluminum plates provides insulation and diffuses the shadows cast by the openings. Behind this public face, walls clad in aluminum panels enclose the open 60-foot-high warehouse, bathed in natural light from above, where chassis and other components are tested. This is a secure area, where proprietary information is concealed from prying eyes, and access is tightly controlled. 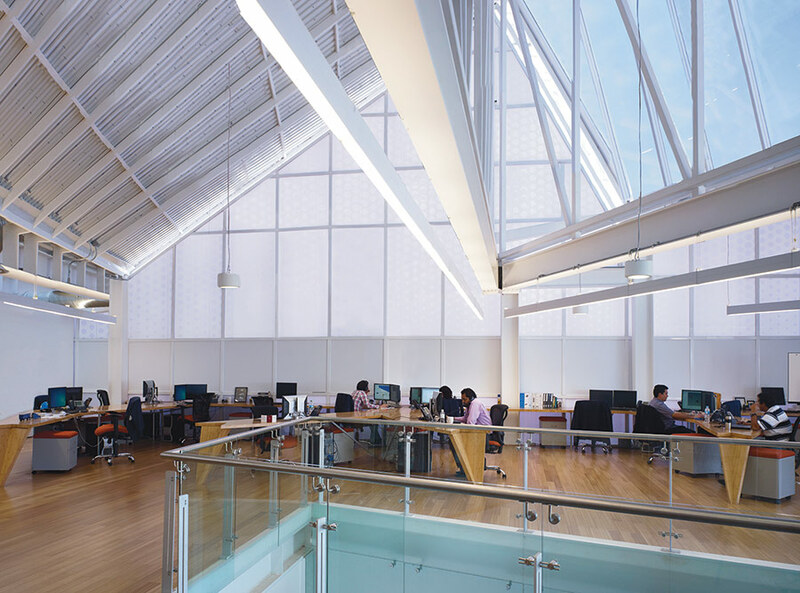 The same concern for privacy was applied to the second floor laboratories in the office wing, and the architects calibrated the openings to balance the competing claims of protection and transparency. Tilted oval windows provide discreet glimpses of the labs and the warehouse. In contrast, the open office areas have an easy flow, and the architects designed the triangular tables with splayed legs. These, like the building, were locally sourced and fabricated. Scarpa intended for Metalsa to make the aluminum skin, but it proved cheaper to go to another factory in Monterrey. He was also challenged to reuse the structural frame that a local architect had designed before Metalsa decided to hire a more prominent designer. Sustainability is a hallmark of Brooks + Scarpa buildings, and here the challenge was extreme. The temperature routinely tops 100 degrees in the summer, and once reached 118 degrees in April. Passive technologies are combined with rooftop solar panels. 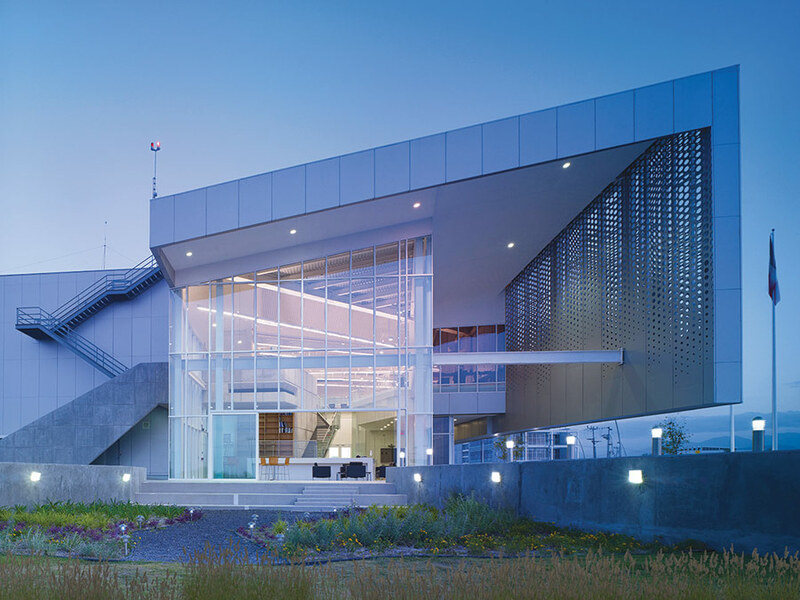 The building is cooled and warmed by tapping into the city water supply and feeding pipes through a heat exchanger to exploit the difference in temperature between the water and the earth. Gray water is stored in a cistern below a sunken garden to the north and the public spaces open onto this green oasis through a roll-up industrial door in the exposed glass curtain wall. Like the visionary workplaces created in the early years of the modern movement, Metalsa combines efficiency, humanity, and expressive design in exemplary fashion.